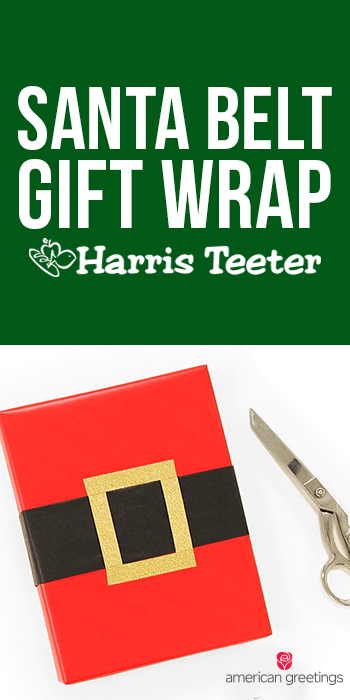 After wrapping the gift in red wrapping paper, cut a strip of black tissue paper and fold it into thirds, making a belt across the gift. Tape it to the back of the gift. Take the gold washi tape and cut a square to go around the belt, creating the buckle. Sign your Christmas card with a heartfelt Christmas message and your gift is ready!